Manufacturer of a wide range of products which include cast iron railings. We are a renowned organization that is engaged in manufacturing, supplying and trading a vast array of Cast Iron Railings. The range offered by us is manufactured using high-quality steel that is sourced from reliable vendors of the market. These railings are offered by us in various designs and sizes to meet diverse requirements of customers. 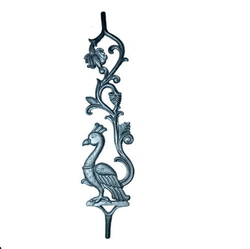 Looking for Cast Iron Railing ?